Look for the blue snowflake! Check out Bethel's many unique and interesting shops after a day on the slopes! 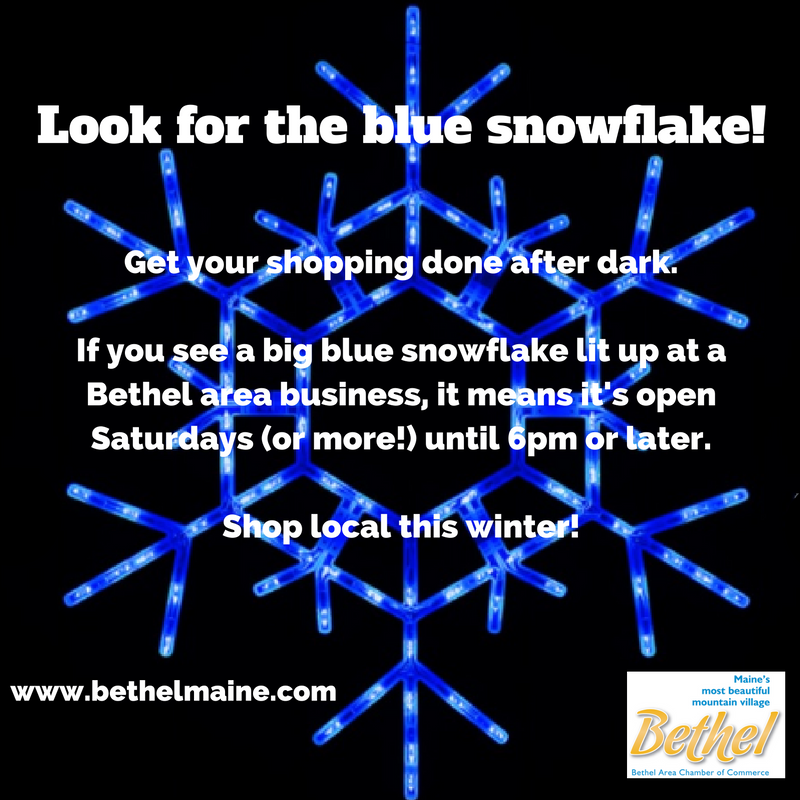 If you see a big blue snowflake lit up at a Bethel area shop, it means it's open until 6pm or later on Saturdays through the winter - or more often for some.